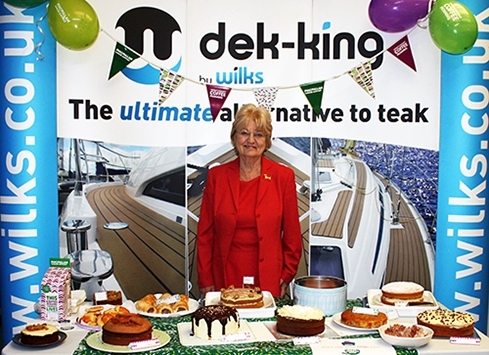 This September Wilks took part in the World’s Biggest Coffee Morning raising £250 for Macmillan Cancer Support. The World’s Biggest Coffee Morning is Macmillan’s biggest fundraising event for people facing cancer. The charity asks people all over the UK to host their own coffee mornings and donations on the day are made to Macmillan. Last year alone Macmillan raised over £27 million. The first ever coffee morning happened way back in 1990. It was a rather small affair with a simple idea: guests would gather over coffee and donate the cost of their cuppa to Macmillan in the process. It was so effective, Macmillan did it again the next year – only this time nationally. Since then, the coffee mornings have raised over £200 million. The team at Wilks came together to raise money for Macmillan with a bake sale and a highly competitive bake-off competition. Marie Berry, Vice-Chairman, judged the competition and was delighted with the high level of entries and generosity of staff. The Wilks Star Baker trophy was awarded to our Toolmaker, Daniel Marlow, for his mouth-watering four-tier chocolate and vanilla sponge cake, complete with chocolate drizzle icing. Sam Maxted, Linishing Supervisor, came a close second with his donation of a coffee and walnut sponge with baileys buttercream. This spectacular bake featured a special touch of a chocolate Wilks logo. Taking third place was a donation from Carol O’Brien – a luscious lemon cake with floral decorations. The winning cakes were raffled off to raise money, alongside a bake sale of donated treats from Wilks staff, family and friends. Marie Berry, Vice-Chairman, judged the competition. 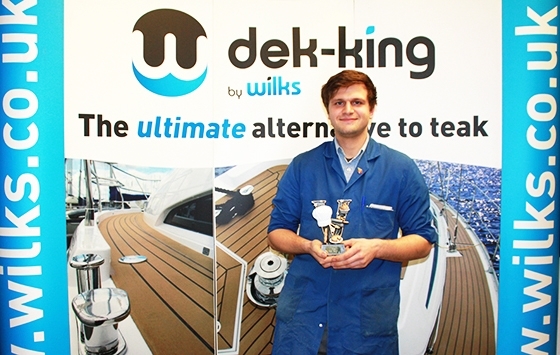 The Wilks Star Baker trophy was awarded to our Toolmaker, Daniel Marlow. For further information on the World’s Biggest Coffee Morning and Macmillan Cancer Support visit www.coffee.macmillan.org.uk.